iMARS offers a simple and easy-to-use email and healthcare file sharing system optimized for maximum security and privacy. Email in general is not secure. There is no reliable way to know that the person receiving the email is the intended recipient. When it comes to discussing diagnoses and treatments for patients, you need to be aware that general email has no guarantee of privacy. iMARS offer a complete and 100% paperless software solution designed specifically to meet the needs of Ambulatory Surgery Centers. Integrated and centralized scheduling, online booking, web patient check in, bill pay, electronic health records, document management, and more. Using an old out-dated EHR system? Not using a Paperless EHR/EMR? How about office scheduling? Using Google Calendar? You can now make the switch and go to the new Paperless EHR/EMR software with iMARSMED. Find out how you can successfully transition from the old and out dated paper charts to the new Paperless EHR/EMR software. Using an old out-dated scheduling system? Not Paperless yet? iMARS -SPA is the only cloud-based, 100% paperless spa management solution available today. A complete solution including an advanced scheduling and appointment booking, POS and integrated payments, client portal, electronic records of any kind and format, and much, much more. 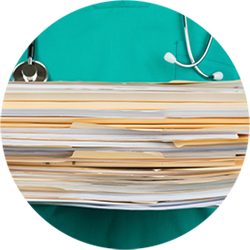 How to Successfully Transition from Paper Charts to Paperless EHR/EMR. GET THE BEST, MOST COMPLETE Paperless EHR/EMR AVAILABLE. Using an old out-dated EHR system? 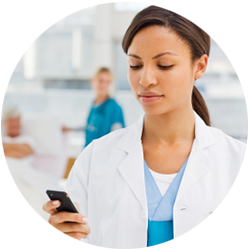 Not using a Paperless EHR/EMR? How about office scheduling? Using Google Calendar? You can now make the switch and go to the new Paperless EHR/EMR software with iMARSMED. Find out how you can successfully transition from the old and out dated paper charts to the new Paperless EHR/EMR software. 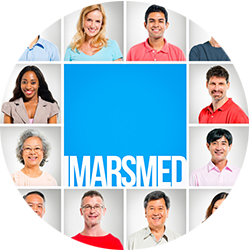 Start with a free trial iMARSMED provider account in 5 minutes or less. Simply walk through the registration process and customize iMARSMED to the way you run practice. Once your account is all setup, import your data from old systems, or scan and upload your paper charts. We can help you do that. Let us show you how. For any medical practice, it is vital to move away from paper medical records to a Cloud-Based Paperless EHR/EMR. system. Scanning and uploading your patient's paper documents has never been easier and efficient. Your patients don't wants to wait when they get to your office. iMARSMED understand that. 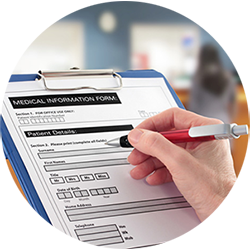 iMARSMED allows you to send your entire Pre-admission and Registration packet including all the consents and reminders to your patients electronically, long before they show up at your office. Email in general is not secure. There is no reliable way to know that the person receiving the email is the intended recipient. Medical providers are required to inform patients that they should expect no privacy as it relates to using the practice’s insecure email. So, when it comes to discussing diagnoses and treatments for patients, you need to be aware that general email has no guarantee of privacy. iMARSMAIL gives you the email security your patients and your practice can depend on. iMarsLink our novel way to connect and communicate with patients, introduces a new model in which healthcare providers partner with their patients to identify and satisfy a full range of needs and preferences. 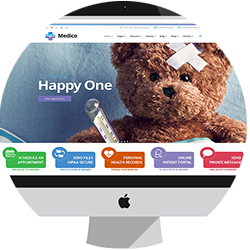 In this scenario, patients are engaged and have full access to up-to-date content and information about their health and treatment progress. ADD HIPAA COMPLIANCY TO YOUR WEBSITE. YOU NEED IT! iMARSMED has created a set of tools that can make your website HIPAA compliant. It is actually a very simple process. You do not need to purchase and install enterprise security software, an SSL certificate, firewall, encryption, or the boogeyman to scare off the offenders. Let us show you how. Do you need a HIPAA compliant online billing and invoicing system? Absolutely! iMARSMED offers a HIPAA compliant, secure billing and invoicing system for healthcare professionals. Steadily rising co-pays and the popularity of high-deductible plans are moving a larger portion of the cost of healthcare directly to your patients. The collection of these self-pay balances is vital to your cash flow and survival as a practice. Patients are able to request and book appointments, get confidential appointment reminders, and have access to change and modify upcoming appointments. Providers can register patients, schedule or reschedule complex appointments or find treatment histories, quickly and easily. GET STARTED WITH iMARSMED NOW! Create an account in minutes and bring full HIPAA compliancy to your medical practice. Ease the frustration of running your medical office, scheduling, patient tracking, billing, and reporting. And, it's all 100% Paperless. iMARSMED offers your practice the most advanced HIPAA compliant, EHR, EMR, Practice Management, and Patient Portal Software. iMARSMED is a breakthrough HIPAA compliance and practice management software designed for modern health care providers. It is designed to allow health care providers to simply communicate on a secure and HIPAA compliance software structure. iMARSMED offers an all-in-one HIPAA compliance software, EHR, and Patient Portal Software for health care organizations of any size. Our HIPAA compliance software will help you meet HIPAA privacy and security rules. Streamlining patient care processes, it aims to simplify day-to-day office administration tasks with an entirely new approach. With iMARSMED, patients request and schedule appointments, review and complete pre-admission and registration papers, refill prescriptions, and pay bills. Patients can finally become fully engaged in their health management from their home. Doctors, simply enjoy unparalleled power, reliability, and ease-of-use of an advanced HIPAA compliance system that works.